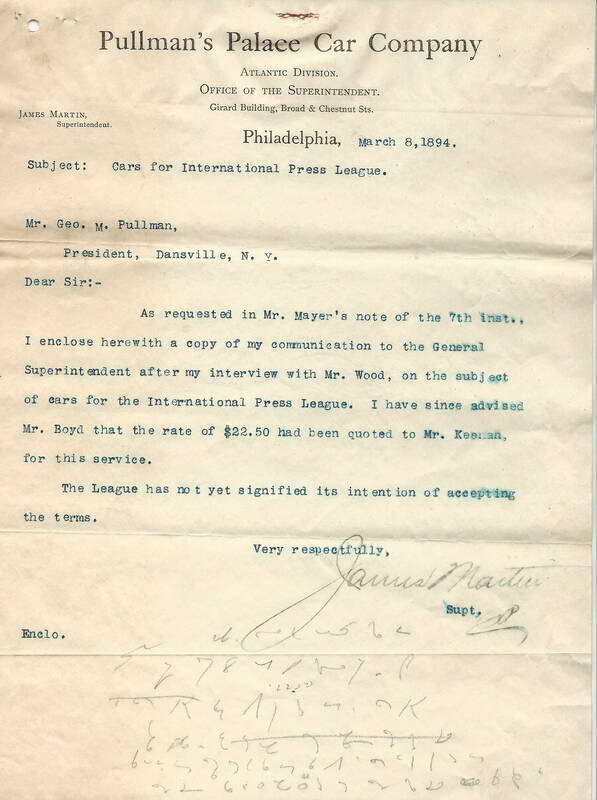 Correspondance between International Press League and Pullman re: request for free sleeping cars for first convention of north and south press combined after the war. Letters include what appears to be original shorthand notes as well. Description Correspondance between International Press League and Pullman re: request for free sleeping cars for first convention of north and south press combined after the war. 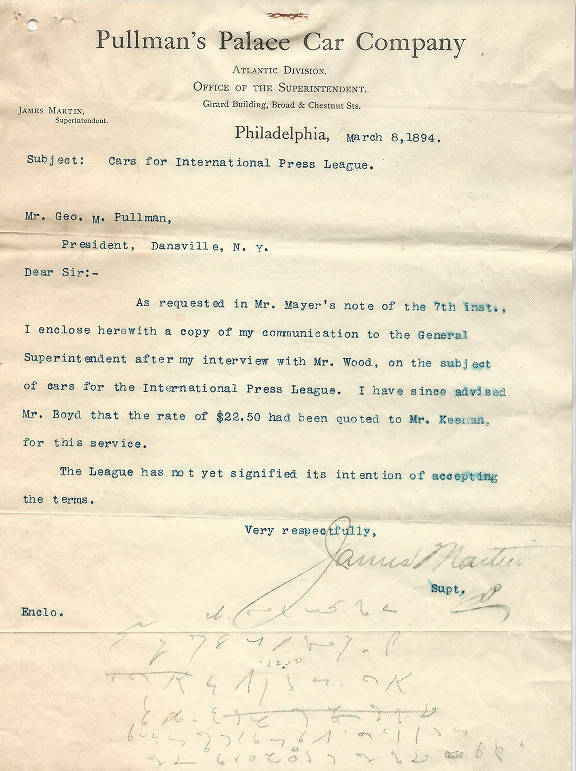 Letters include what appears to be original shorthand notes as well.